Do you know what to do to avoid problems when moving office? Proper planning can help and simplify even most complicated removals. To move quickly and easily take advantage of our recommendations. First, you should determine how much time you are willing to allocate to the move. Next is the expert assessment of the moving and the travel costs. Our company make this at no cost! If your office consists a few departments, then think if you want to move in stages or at one go, and make a moving chart for each move. Warn all employees of the impending change. It is best to appoint a move manager. The officer will monitor the process and coordinate all actions. It is necessary to make a complete list of all items to be transported. 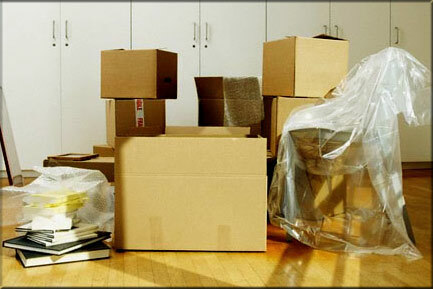 If you do not plan to pack your property on your own, ensure the mover includes the packaging on the quote. Packaging and boxes for personal belongings can be ordered in our company or bought from the internet. Items should be placed correctly - neat and compact. You should not put too many things in the same package. To move the archives you can use corrugated boxes. For office furniture and computers use bubble wrap. However, the easiest way to take away all concerns of your shoulders get a qualified carrier. Experienced movers can quickly and carefully pack up all the things with a guarantee of their safety. Work out how the office furniture should be placed in the new building. Make a plan for placement of the rest of the property. It is necessary to make the marking of all things. This ensures that the office furniture, computers, files and personal items will be placed in a specific place. For marking you can make stickers, which should contain detailed information (room number, employee name, floor, date of the move). Stickers should be located on the side of moving boxes. This will ensure the process of placing things fast and easy. Empty the content of all office desks, drawers and storage cabinets to the boxes. All the relevant tables should have stickers. The same applies to the cabinets, chairs and other furniture. Prepare plants (if any). They can be placed in boxes. In this case, the box should be left open. Disconnect all office equipment. It should be ready for shipment. The lighting (ceiling lamps, chandeliers, lamps) also should be prepared to move. All disconnecting and reconnecting should be done by electrical technicians. Check if all items have been collected. Business partners and clients of the company. Insurance company and the bank that provide services to you. Good planning will provide you with an easy move. 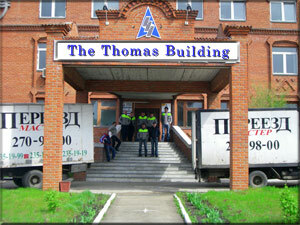 A professional office removals Bradford will provide you with a great service. Your office will operate at the new location like previously.